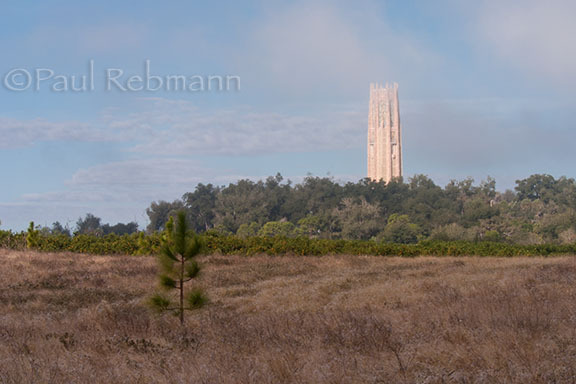 Bok Tower Gardens is a national historic landmark near Lake Wales, Florida. Most notable for the 205 foot tall carillon tower on one of the highest points in Central Florida. The 'singing' bell tower is surrounded by extensive landscaped gardens. Bok Tower Gardens also has a rare plant conservation program that is active in curating, propagating and re-introducing into the wild various rare Florida native plants. There is also a rare plant area in the gardens. The rare plants that the conservation program is working with include Eastern fringed catchfly and scrub ziziphus.